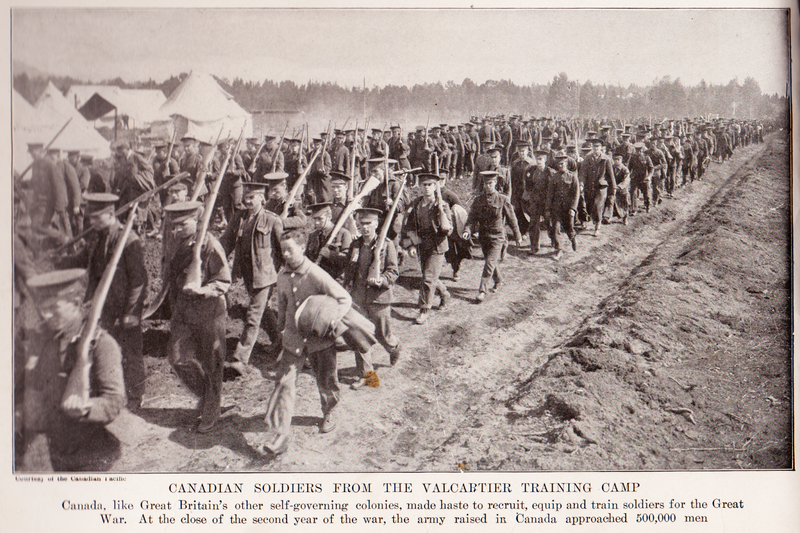 This may be a photo of the first contingent of Canadian troops marching from Valcartier to their transports at Quebec. 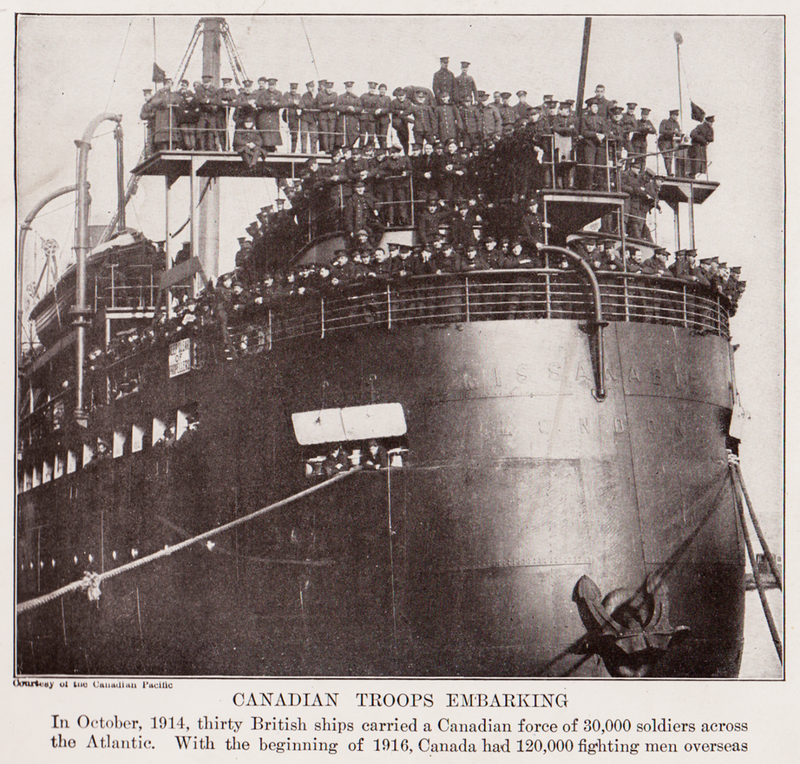 The RMS Missanabie was used as a Canadian troop transport. It was put in service in 1914 and sunk in September 1918.